Clean the broccoli and cut it into roses. Cut the garlic in thin slices. Blanch the roses shortly in boiling water, let them dry up a bit. On a baking tray drizzle plenty of olive oil, crumble a stock cube on it, add a teaspoon of chili powder and mix together. 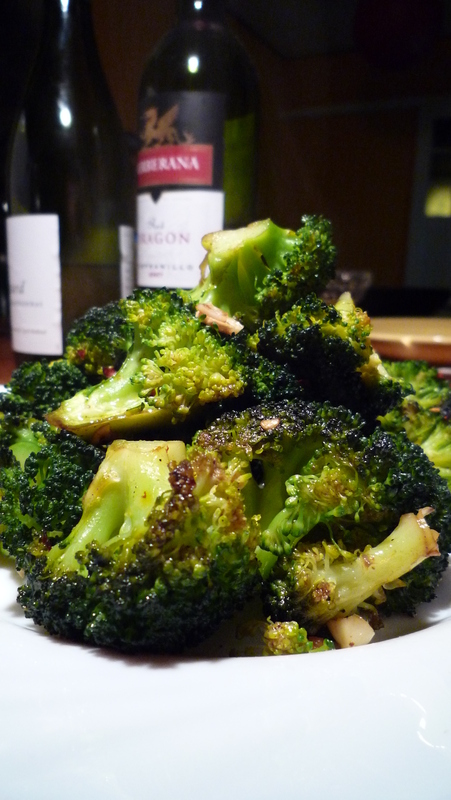 Toss the broccoli in the oil until all the florets are nicely covered in oil and spices. Add some chili flakes and the garlic. You can vary with the chili flakes, if you like spicy, go wild, otherwise just sprinkle some here and there. Place the tray in the oven and wait about 15 minutes. 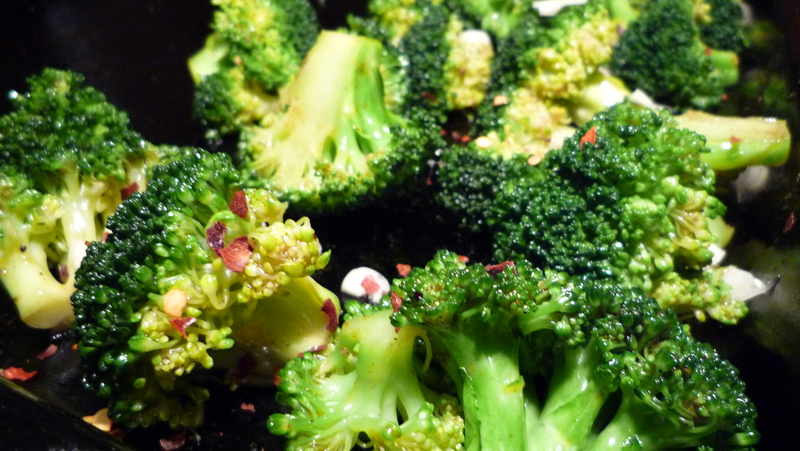 Don’t worry if the broccoli get’s a little dark, it adds to the flavor.